From 25 October to 6 November 2017, Belarusian President Alexander Lukashenka held an official visit to the United Arab Emirates (UAE). The Belarusian delegation included two of Lukashenka’s sons: the elder, Viktar, and the youngest, Mikalaj. Despite taking time off for some autumn vacationing, the Belarusian leader also managed to make a couple of important agreements in the security sphere. Belarus is developing both economic and security relations with UAE. This will likely result in new contracts in the defence industry. In addition, the UAE is providing more financial help and investment for Belarus. Despite the fact that this year marks 25 years of diplomatic relations between Belarus and the UAE, the United Arab Emirates cannot be called a state of great importance for Belarusian foreign policy. The frequency of the Belarusian president’s visits there confirms this: one can count five visits throughout the last ten years. In 2014 and 2016, Alexander Lukashenka visited the UAE accompanied by his younger son Mikalaj and his eldest son Viktar. In 2014, he even managed to play hockey in Abu Dhabi. Lukashenka also flew to the UAE in 2007 and 2013. Another important detail is that Lukashenka donned a tie only once during his 12-day visit. The tie made its appearance at a meeting with the Abu Dhabi crown prince. This suggests the primary reason for the visit was to take a rest and to provide a good vacation for the family, especially for his beloved youngest son Mikalaj. At the same time, the Belarusian leader managed to combine vacation with business. Indeed, Lukashenka discussed important issues in the security field. 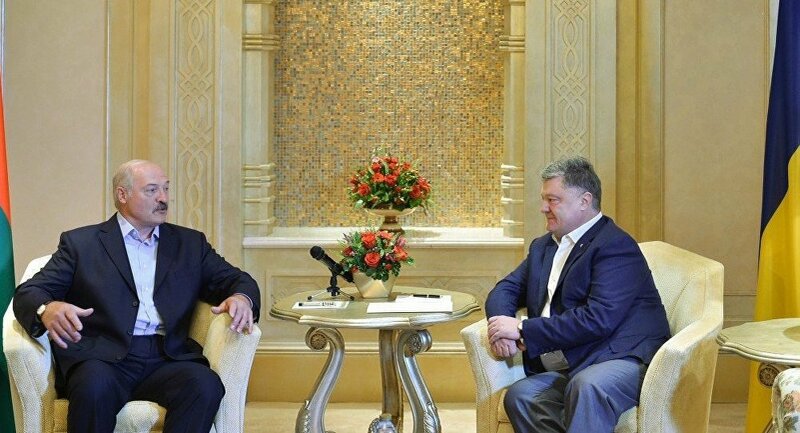 On 2 November, Alexander Lukashenka met with Ukrainian President Petro Poroshenko, who was visiting the United Arab Emirates, too. In addition to discussing the implementation of previously reached agreements, the two presidents also brought up security cooperation. For example, they highlighted the resumption of work by a bilateral commission to properly demarcate the Belarusian-Ukrainian border. The meeting between Poroshenko and Lukashenka highlighted urgent issues in Belarus-Ukraine relations, which need to be solved at the highest level. Earlier, on 27 October, the Belarus’s presidential press-office reported the agreement of a loan between the Development Bank of Belarus and the Khalifa Fund for Entrepreneurship Development. The Fund will provide the Bank with about $25m for the development of private initiatives, innovation and regional projects, and the creation of jobs in Belarus. Economic relations between the two states are improving. From January to August 2017, exports from Belarus to the UAE amounted to $44.8m (an approximately 318 per cent increase compared to the same period last year). For the first 6 months of 2017, the amount of direct UAE investment to Belarus exceeded $11m (more, than for the whole last year). On 5 November, Alexander Lukashenka met with Abu Dhabi Crown Prince and Deputy Supreme Commander-in-Chief Sheikh Mohammed bin Zayed Al Nahyan. They discussed spheres of bilateral cooperation and prospects for the further development of relations. It is probable, though, the main item on the agenda was security and defence. Especially, taking recent developments into consideration. On 15–16 October 2017, Abu Dhabi hosted the eighth meeting of the Joint Belarusian-UAE Committee for Military-Technical Cooperation. According to the official press-release, committee members discussed the implementation of previous decisions and their aftereffects. New cooperation projects were also put forward. The sides noted the high level of cooperation achieved and confirmed their mutual interest in the further development of military-technical cooperation between Belarus and the UAE. Earlier, during a military parade in Minsk on 3 July 2017, people could observe an unmanned aerial vehicle (UAV), the BELAR YS-EX, which is a modification of the Yabhon Flash 20 UAV manufactured by UAE company ADCOM Systems. For their part, UAE representatives showed interest in Belarus’s own Berkut UAV, which is developed by the 558 Aircraft Repair Plant. 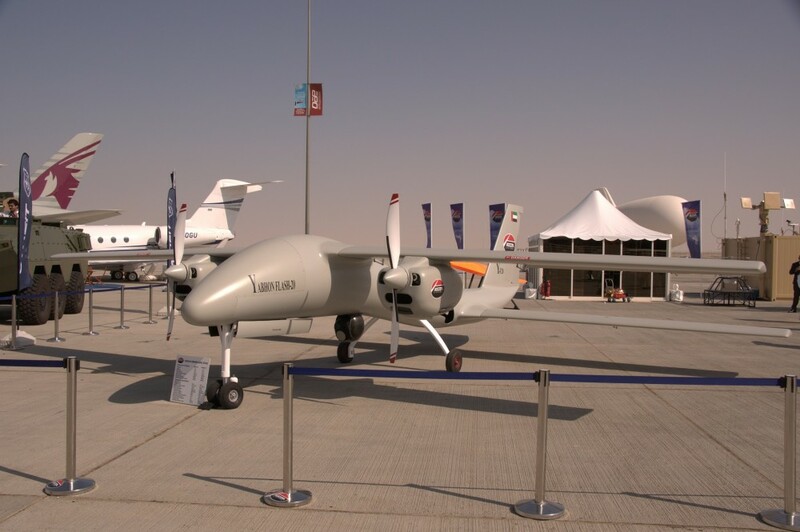 Four enterprises will represent the Belarusian military industry at the 2017 Dubai Airshow from 12–16 November 2017: (1) Closed joint stock company BelTechExport; (2) Open joint stock company (OJSC) KB Radar—the management company for Radar Systems holding; (3) OJSC 2566 Electronic Weapons Repair Plant; and (4) the Scientific and Production Centre of Multifunctional Unmanned Systems at the Belarusian National Academy of Sciences (which is a state unitary enterprise). In late March 2016, the Minsk Wheel Tractor Plant (MWTP) and the Al Badie Trading Establishment, a company from the United Arab Emirates, signed a contract to supply the UAE Defence Ministry with tank tractors. 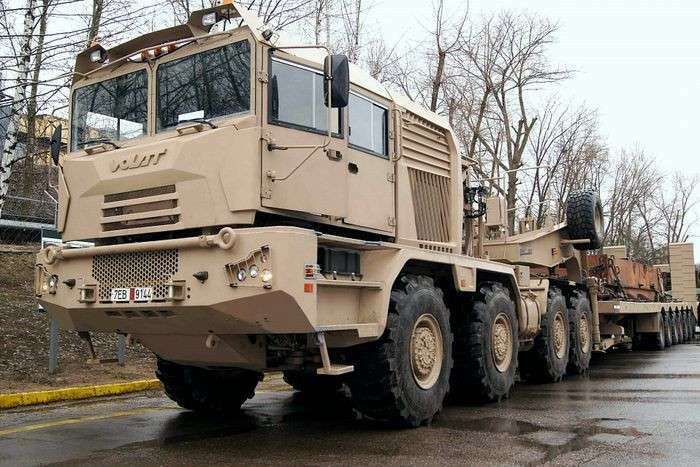 The all-wheel drive (8×8) MZKT-741351 tractor—equipped with either the MZKT-999 421 or the MZKT-837 211 trailer—can carry up to three tracked and wheeled armoured vehicles or 20 to 40-feet containers weighing up to 136 tons. 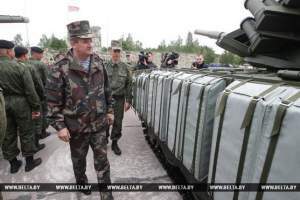 For Belarus, the purchase of these particular vehicles is significant. The UAE already has 20 American Oshkosh M1070A0 tractors. The Belarusian and American vehicles are propelled by the same engine, the Caterpillar C18 diesel. However, the key difference is that the Belarusian MWTP tractor has more power (812 hp). Given the almost two-fold superiority in load capacity (136 tons vs. 75), a slight lag in the maximum speed (70 km/h vs. 80 km/h) is negligible. Indeed, MWTP has been somewhat of a success story in the UAE market. MWTP’s first contract dates back to a private order by a sheikh in 1997. The sheikh wished to have a “mobile apartment” when he took falconry trips into the desert. The full motorcade consisted of three heavy vehicles: the first one for the sheikh, the second for his harem, and the third one for goods. MWTP successfully fulfilled the order, fitting special wheeled chassis to the MZKT-79097-30 for the desert conditions. The extraordinary contract was delivered on time and with high quality. After that, UAE leaders saw MWTP as a trusted supplier, capable of developing and fitting tractors for different needs. While the finance and investment statistics continue to improve, Belarus-UAE relations are focusing not just on economic issues, but on security cooperation, too. The Emirates are looking for new, and relatively cheap, technologies and products in Belarus. 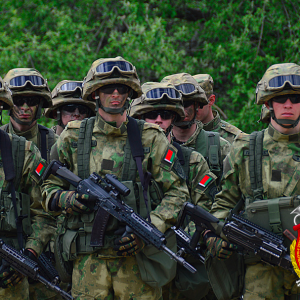 Belarusian officials are trying to attract Arab investments and to gain access to Western military technologies, which are restricted due to sanctions. One can expect joint projects in electronic and radioelectronic warfare, as well as information security. 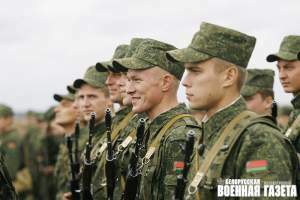 Belarus will also try to get more involved in the UAV high-tech market in order to improve its own force capabilities and to become influential in this fast-developing, niche market.